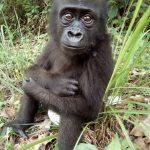 The Aspinall Foundation - Why do a challenge? We are an animal conservation charity dedicated to protecting endangered animals around the world. We work in conjunction with Howletts and Port Lympne Wild Animal Parks in Kent, well known for their successful captive breeding programmes. This entry was posted in Charities, Environmental on 21st January 2019 by Life Changing Challenges. Life Changing Challenge events all abide by a 'Leave No Trace' outdoor ethic to promote conservation in the great outdoors. We have asked a few of our friends to write guest blogs on the subject of 'Leave No Trace' to help educate people and prevent the potential impacts that these issues can have on our environment. This entry was posted in Environmental on 3rd January 2019 by Life Changing Challenges.